K. Marguerite Conley is senior consultant for Carter Research, a strategic advisory and operations consulting firm to the education industry. Before joining Carter Research, Marguerite was Executive Director of the Consortium of Catholic Academies, providing management and operational oversight for four inner city elementary schools in the Archdiocese of Washington. Prior to leading the Consortium, Marguerite was the principal of Annunciation School in Washington, D.C. for eleven years. Before being named principal, she served as both assistant principal and middle school math teacher. She began her vocation as an educator at St. Peter’s Inter-Parish School on Capitol Hill in 1991 teaching middle school math and Church history. Marguerite’s expertise has led to partnerships with Boston College Roche Center for Catholic Education and Howard University Capstone Institute. She has worked with the United States Catholic Conference of Bishops, Archdiocese of Washington, American Federation for Children, and external groups on advocacy, strategic planning, and reauthorization of D.C.’s voucher program, the Opportunity Scholarship. 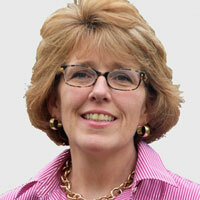 Currently Marguerite is the Chair of the Board of Directors for Georgetown Visitation Preparatory School. She has served on the Archdiocesan Board of Education as well as many diocesan committees from curriculum to emergency preparedness. Marguerite received both a Master’s degree in Education Administration and a Bachelor’s degree in English from The Catholic University of America. She is a third generation Washingtonian.